I have been fortunate to work with people from all walks of life in my writing programmes. I am so grateful for their generous and creative spirits. Here are some of the things they have to say about Spilling the Ink. Melissa almost instantly created a lovely, nurturing environment for would-be writers. 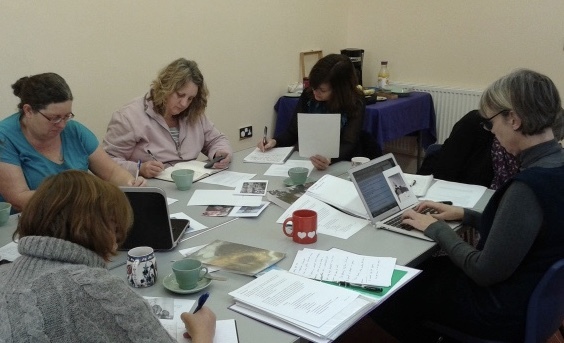 Her Writing Circle provided the perfect opportunity to explore the possibilities of prose and poetry, to exchange ideas with a fascinating, friendly group of people, a nerve-wracking, exciting chance to read aloud and the privilege of listening to work that was the result of our time spent together. I’ve completed a 6-week writing circle course with Melissa and attended her “creativity and empathy” workshop. During both I was struck by Melissa’s natural ability to bring out the best in people along with her experience as a writer and teacher. The sessions were carefully thought out, with supporting material and emails midweek to keep you on track. Melissa has the ability to create a group vibe that encourages and inspires and keeps the creative juices flowing. I came away with a concrete plan to write a book – a step on the way to fulfilling a long-term dream. I have just completed Spilling the Ink Online and I wanted you to know that I am feeling so inspired by the experience. I have come away with pages of fresh ideas for poems - informed and influenced by the sharing of ‘fragments’ with talented women writers. Melissa, thanks to you I am returning to my writing practice energised and curious as to what comes next. What a gift! Karen Littleton, Poet in Residence, Westbury Arts Centre. I attended Melissa's Spilling the Ink course last year and it was a nurturing, inspiring and thought-provoking experience. 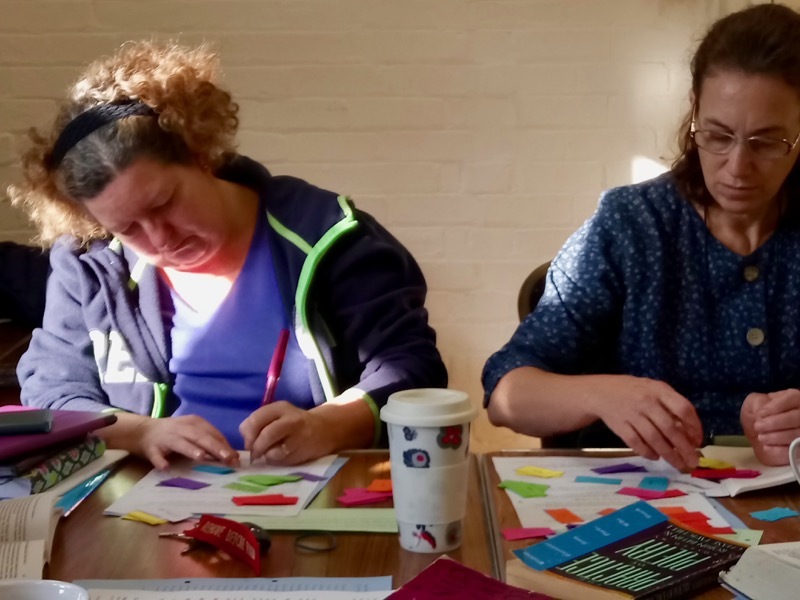 Melissa is a meticulous, generous tutor; she offers so many ideas and constructive criticism which is both encouraging and non-judgmental and as she keeps the group small there is a great opportunity to explore other members' work. I am delighted to be Continuing the Craft with her in the Autumn. Joining Melissa's writing circle last year gave me a new focus outside the madness of my normal life. 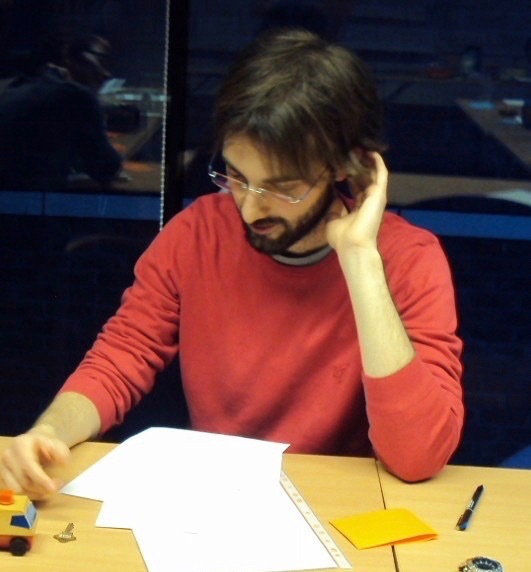 It was a chance to be myself, to be calm and creative, to make new friends and enjoy each others work. The environment is gentle, non-judgemental and fun. With fresh flowers on the table, coffee by my side and a small group of like minded people, I found, for the first time in ages, that I couldn't wait to get writing and I was still pretty good at it. It was an absolute joy and I can't wait for the next one! I can't recommend Melissa Fu highly enough. Last year she ran two incredibly successful - and vastly oversubscribed - writing workshops at Fitzwilliam College. 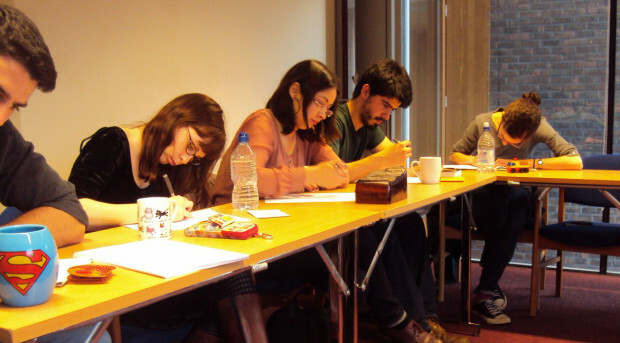 Whether beginning or experienced writers, everyone who attended found them stimulating, sympathetic and lots of fun. Writing Circles is now the highlight of my week! Good fun, good company and very liberating. Melissa gives us the time, the space and the freedom to put pen to paper and not to worry about the initial results! I enjoy being given prompts to get writing quickly and freely as well as having the time to refinefirst drafts. Melissa is an excellent facilitator: her calm, non-judgmental manner ensures that the sessions are always positive, relaxed and productive. We get to share ideas with like-minded people and share the fruits of our labours when we read some of our drafts out loud. And talking of fruit, Melissa also supplies tea, coffee, exotic fruit, biscuits and delicious cake (thanks Melissa!) so we feel that she is nurturing us as well as nurturing our writing. I’ve learnt much about myself as well as about how to write better fiction and non-fiction. I’m more confident now about “having a go” and I know this is just the beginning. Do you want to find a cozy place to write and be with people who love writing and talking about ideas? I discovered a lovely, safe and fun space to try writing for the first time at Melissa's Writing Circle. Each week I looked forward Melissa's gentle voice guiding us to put thoughts into words, as we dipped into a world of activities that get you started and help you give expression to ideas you didn't even know you had! Before attending the Opening Writing workshops, I had been Melissa's physics supervisee at Uni for one year, and I had had the chance to appreciate her as a pleasant and inspirational teacher, capable of transmitting her enthusiasm and passion to her students; so I was pleased when I find out that she also taught creative writing. Melissa's Opening Writing workshops allowed me to explore new ideas and techniques to make creativity and the pleasure of writing emerge and blossom, which are still of great usefulness to me whenever I write.